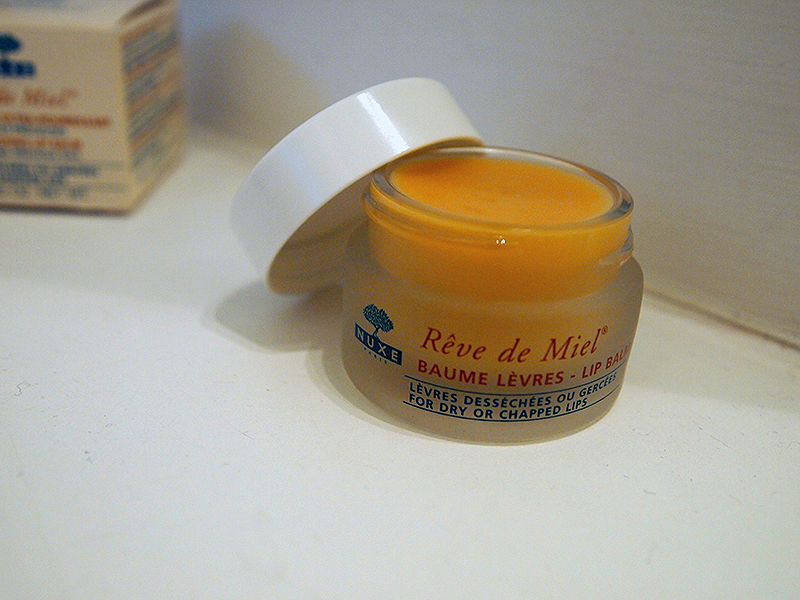 It was my good friend Alanna who convinced me to buy Nuxe’s Rêve de Miel. I had been umm-ing and ahh-ing and finally after chatting with her, I was convinced. I was after a lip balm to help keep my lips from drying, especially as I wear lipstick everyday. You know, something to help combat those annoying bits of dry skin you bite off (I know I shouldn’t). Was Nuxe the brand that could help me do that? At £9.50 it’s safe to say this is the most expensive lip balm I’ve bought. I thought about it for a long time but decided to take the plunge as I’d heard wonderful things. This lip balm is super concentrated (if that makes sense), and is much more substantial than others I’ve tried, and smells absolutely amazing! As I mentioned above, a little bit on my fingertip helps hydrate all of my lips and makes them feel lovely. I’ve only been popping some on in the morning and evening (unless needed during the day) and I love it already. My lips are much more nourished now and they don’t feel dry at all. It also helped me out when I had chapped lips recently – gone in a matter of days! As for lipstick drying out my lips (yep, even high-end brands such as Chanel dry mine out), Rêve de Miel has definitely helped combat that. In the last week I haven’t found myself feeling as if my lips were dry or that I needed to bite at dry skin, and that’s coming from someone who wears lipstick everyday. My lips are softer and more hydrated. This is definitely an investment lip balm and worth saving the pennies for if you happen to suffer from dry/chapped lips, or just think yours could do with a pick me up. 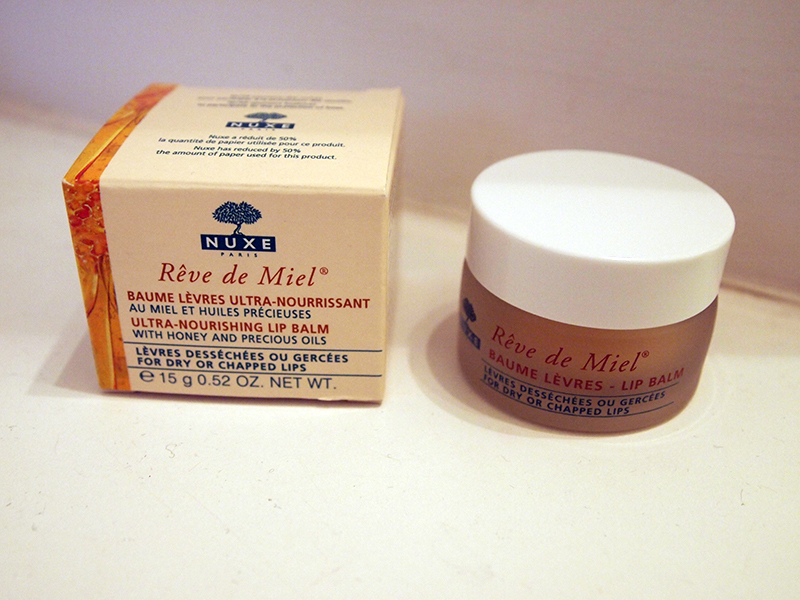 You can buy Nuxe Rêve de Miel in Space NK stores, or online here. Remember the Micellar Water Blind Trial I did for Escentual? Well 100 Bloggers voted and the results are in, and I was very surprised at the final scores. It’s obvious by the results that what worked for me, didn’t necessarily work for others. I think this trial is the perfect example of how everyone’s skin is different. My favourite? Dior’s Micellar Water. My least favourite? La Roche-Posay. It’s funny how my favourite was in the bottom 3, and my least favourite was in the top 3. Straightaway after using Sample A I knew that it had to be Dior, don’t ask me how. Maybe it’s because I have expensive taste, or I could feel the quality? Which would I buy again? Dior and Caudalie. I loved the trial and it has helped me discover some great products. Micellar Water is my thing so I’ll definitely be investing in some of these in the future. As Christmas is nearing there is no better time for me to host a giveaway. You could enter for yourself or maybe for the chance to win the set for a friend/family member’s present. We all know how popular gift sets are at this time of year, so that’s exactly what I’m giving you the chance to win. This is open to UK residents only – sorry! Trilogy is not a new brand to the beauty market, some of you may even remember the review I did earlier in the year of their facial exfoliant. I am a fan of the brand, so I was excited to try out their daily defence moisturiser. Trilogy say; “This lightweight formula contains a new generation SPF to provide effective UV protection from the sun’s harsh rays, while 100% pure plant oils offer long-lasting hydration for soft, supple skin. Provides the perfect base for make-up.” They also boast that it is used by Strictly Come Dancing’s latest edition, Denise Van Outen. Well obviously I can’t comment on the UV protection as Winter has now hit and we barely ever see the sun. However I will take Trilogy’s word for this as I’m always happy to see a moisturiser/foundation that contains an SPF – especially for my pale complexion. As for the perfect base for make-up, I would have to disagree. It goes on slightly dry and needs to be worked in. I didn’t find it much of a base but that may be down to my skin type. As for my skin, well it is soft & supple. The texture of the product is quite dry to be honest, and a little like putty. Trilogy have suggested adding a little rose hip oil to the product (with good results). That’s fine if you have some handy, but it’s not ideal for most people. That aside, for my combination – sensitive skin type this is a wonderful moisturiser. It’s not too rich or creamy and it doesn’t weigh my skin down. I was really impressed as it didn’t cause me to get dry patches or break out, which is always a possibility for me when trying a new moisturiser. The price tag is a bit hefty for me at £28.50 so I don’t think so. I would consider it if it were slightly cheaper…or I had more money. You can buy Trilogy’s Daily Defence Moisturiser in Boots stores and online here. Shopcade is a new way to keep track of the things you love and the items you want to buy. As you all know I am a wishlist addict. I love compiling them and sharing them with everyone else. So it’s only natural for me that Shopcade is a site that is not only fun but essential for me when I’m online. Shopcade is a social shopping application that allows you to share the items you’re buying or just want to buy. You have your own personal page where you can add products and lists of items to show off to your friends and the Shopcade community. If you have ever seen a photo of an item online and wondered where it’s from and how you can buy it – Shopcade is your saviour! You can click through the product and be taken directly to the brands page where you can buy the item and earn points (& cash!) on Shopcade. You can also just earn points by adding products to your page. Once you have a certain amount you can use your points to get free gifts or vouchers. I used my points to get myself some new business cards and I’m currently saving the rest for a big prize! I personally was drawn to Shopcade through the product sharing/list creating, and by the idea that you can then buy the item you just re-blogged/pinned. Earning points and cash whilst doing this is just an extra perk for me really. I also don’t feel any pressure to buy items – I can just enjoy sharing products and making my page pretty. Add me on Shopcade here, and check out my Shopcade feature here. Please ignore the name, it’s old and is in the process of being changed. Recently I was sent a lovely pink package, and what did it contain? 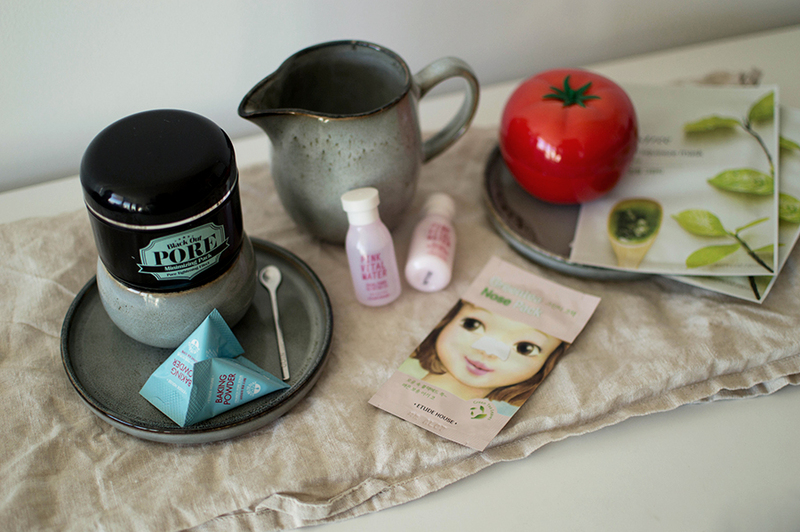 It contained a set of the new Mudd face masks – sea clay, peel-off and original. I love putting on a face mask once or twice a week. It helps me relax and is great for my skin. So of course I was very happy to see that I had been given a selection of the masks to try out. Mudd are quite smart in the way they’ve decided to package these. They come in single packs (1 application) and packs of 5 or 10 applications. The 5/10 application packs have a handy flip lid so you can squeeze out the perfect amount and then replace it. No need to worry about the mask getting everywhere or drying out! I tried out the Hydrating sea clay face mask, as you can see. 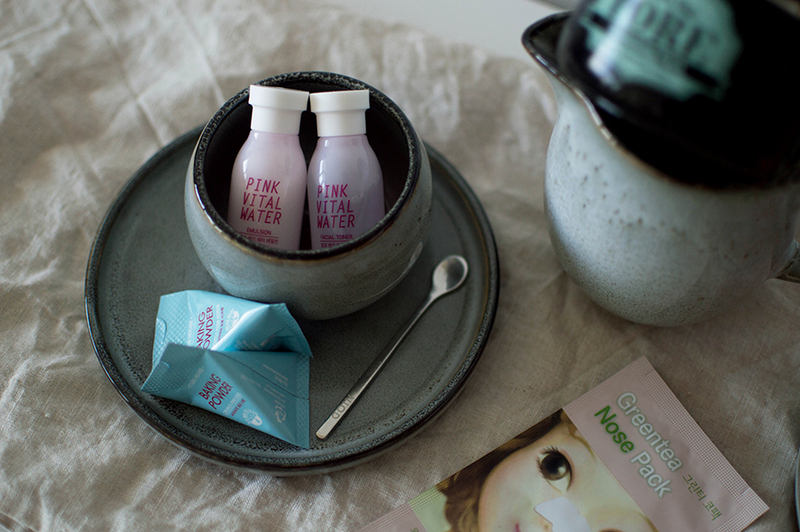 This really was hydrating and left my skin feeling super soft and light (does that make sense?). After application the mask dries and tightens…oh does it tighten. It felt a bit odd to start with but I got used to it. 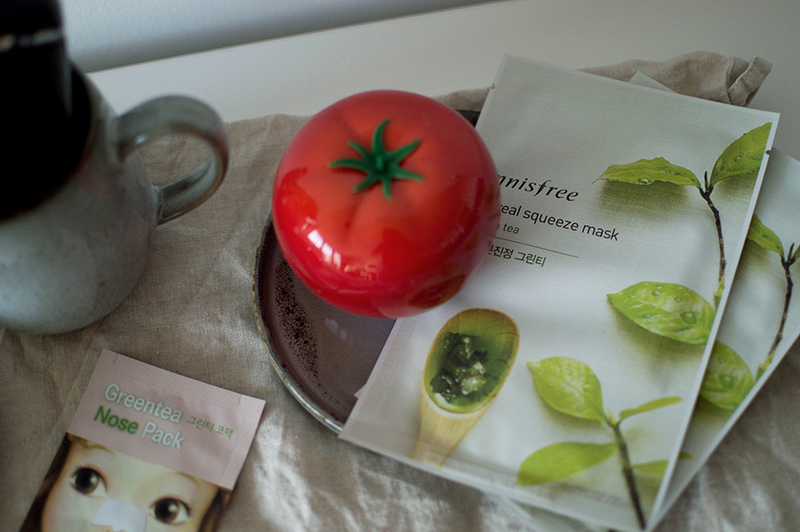 After 15mins 99% of the mask had dried and it felt like I’d had botox – I removed it with warm water and a cloth. 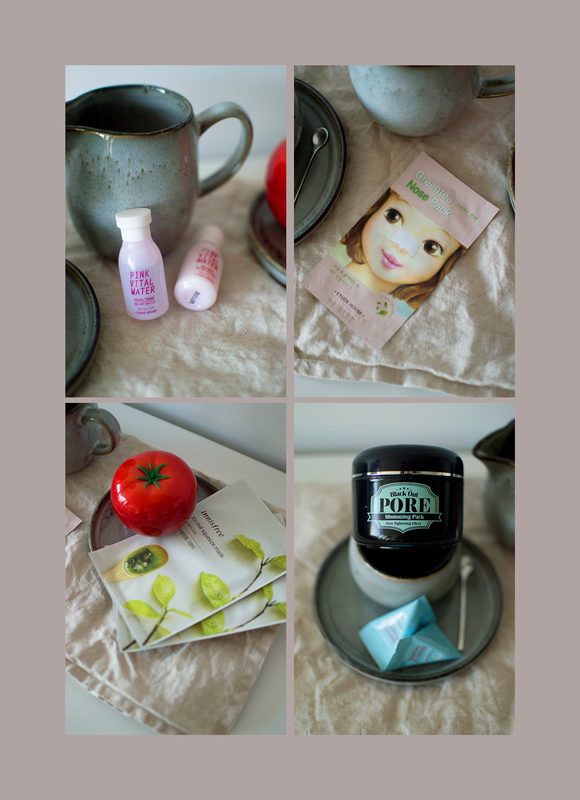 This was a lovely mask and I can’t wait to try out the others, especially the peeling mask! You can buy Mudd Face Masks in Boots and online here. Prices are £1 for a single, £3.05 for a 5 pack and £4.99 for a 10 pack.